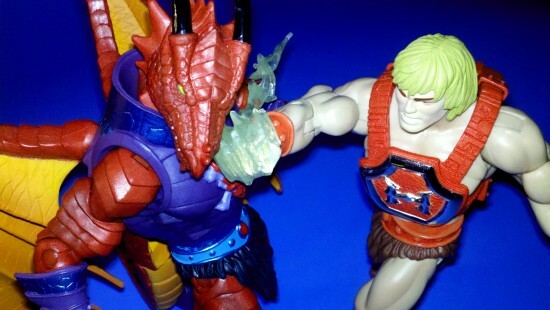 AFHUB – The Action Figure Hub » MOTUC 30th Rains Down Fire & Club Eternia Brings The Thunder As April Figures Arrive! 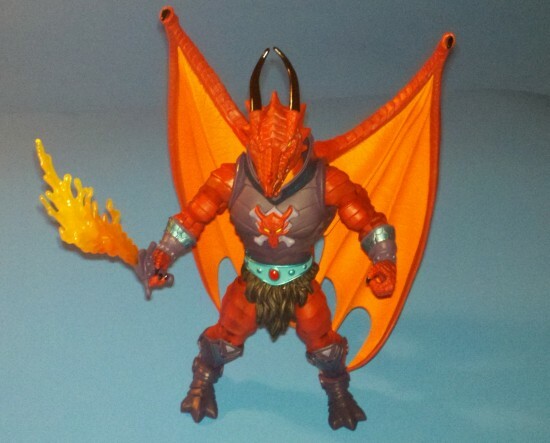 MOTUC 30th Rains Down Fire & Club Eternia Brings The Thunder As April Figures Arrive! 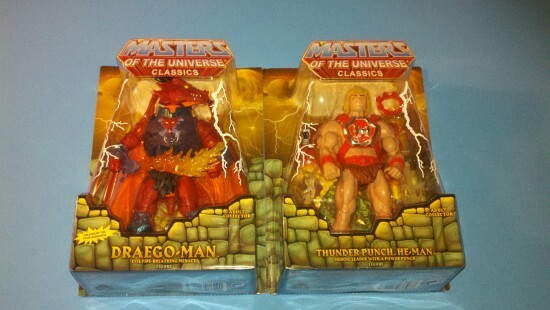 Two figures I’ve been chomping at the bit to get my hands on have finally arrived and are shipping out to Club Eternia Members and MOTUC 30th Anniversary Sub Holders as you read this and if you got them both your inner child owes you a great debt of gratitude.Â Notice on the packaging the words Fighting Foe Men at the bottom of Thunder-Punch He-Man, the FFM are a faction we’ve only briefly read about in the bios but it’s also what the name that was used as a place holder for the project that would eventually become the original Masters of the Universe action figure line.Â Also, on Draego Man’s box you’ll notice the word “Kex” at the bottom which is the name of the humanoid insect species that Buzz-Off belongs to.Â Why are these here? Is it some sort of clue? Is there a deeper meaning? Does it make that last episode of Lost make more sense? 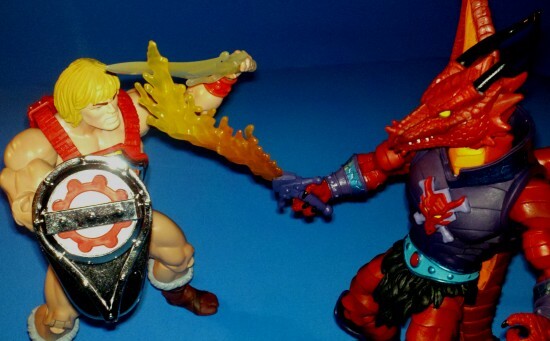 Maybe, but it’s likely some sort of copyright thing to avoid the Fisto/Battle Fist/Kit Fisto problem Mattel ran into back in the 200X days. 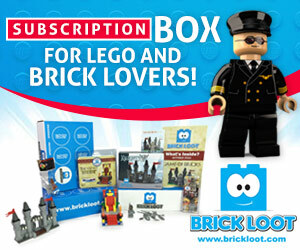 Ready to be freed from their MOC Prison! As you can see both figures arrived in good shape.Â I think Digital River has found a less snug version of the white mailer box which was making it impossible to inspect a figure without damaging the packaging.Â I didn’t experience any such troubles getting these guys out which is good news for all you MOC enthusiasts.Â However, for the rest of us; let’s go ahead and get them out of their cages! 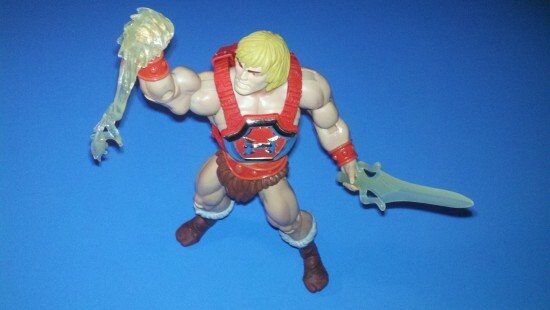 Okay, it has to be said right up front, this guy is pale.Â Maybe the pastiest figure in the line including Zodac and I can’t figure out why for the life of me since up to now they’ve been doing a very good job of making He-Man’s skin tone consistent.Â It’s not a huge gripe but it’s just another one of those irksome things that seem to plague this line.Â However, much like the rest of the line what the figure lacks in one area he more than makes up for in others.Â Aside from his palor, I love this figure.Â Not one of the ones I had as a kid so nostalgia isn’t much of an influence.Â The closed fist is something I’m happy to see make it’s way into the line and will make for some interesting poses. 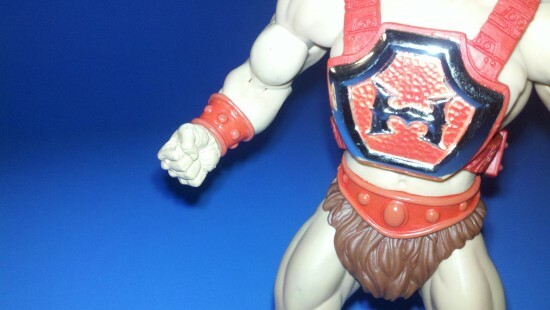 He-Man's new closed fist should make some customizers out there very happy. The armor is very well done and the vac metal doesn’t seem to be flaking, love the hatch on the back as well. As per usual, painstaking update of the details of the original figure. Make sure when you close me up you use the Caps Lock! HA! Get it? Wait..come back. The Power Sword and The Thunder Punch effect both came out looking terrific and will add a lot of variety to to the display options. 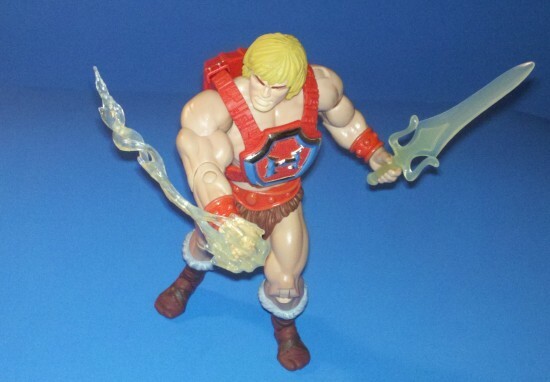 And no, unfortunately though the colors seem right, neither the Thunder Punch effect or the Power Sword Glow In The Dark. 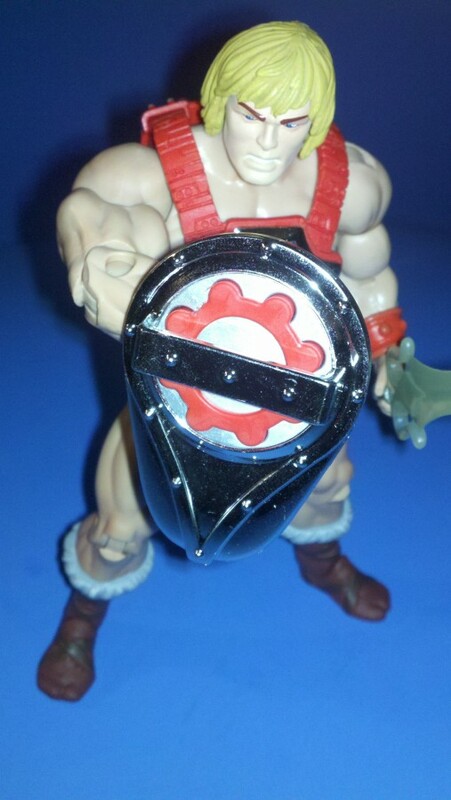 Don’t give up hope though…someday!Â Another cool item is his shield which holds the (faux) cap ring just like the original did, the rest of the shield is vac-metal silver and looks pretty amazing. Swords? Check. 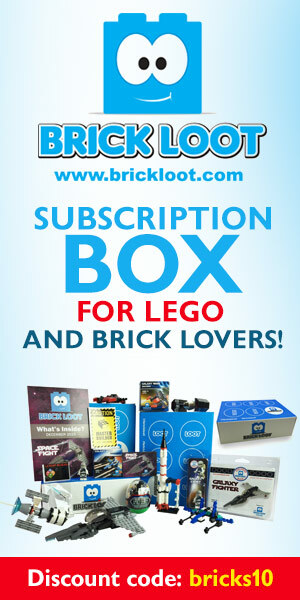 Sorcery? Check. Mini-Comic? Finally! 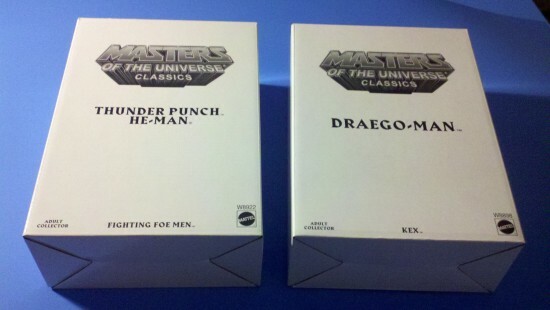 One of the most refreshing things to see in this shipment was a package with He-Man in it and a Mini-Comic tucked behind him.Â I really wish this could be a regular thing but overall the line seems to be flourishing without them.Â Thunder Punch He-Man comes with The Search For Keldor Part One the issue that’s been making the rounds at the different conventions ever since San Diego Comic Con last year.Â Looking forward to seeing how this tale wraps up just as many He-Fans have been since roughly 1986!Â Now next to TPHM’s accessories you see those of Draego Man.Â While very cool there are two highly noticeable absences: his flaming whip and flaming shield both of which had fans drooling at SDCC but have been cut due to cost issues.Â ToyGuru has said multiple times that they are looking for ways to work them into the line (a natural fit would be with Granamyr but I could see that not sitting well with fans who don’t particularly want to pay $80 plus to round this figure out).Â I’m sure we’ll see them at some point but don’t expect them here.Â Also the flaming sword has been dulled a little for kids safety but it doesn’t seem too noticeable to me.Â So now that we’ve eaten the broccoli for Draego Man let’s look at the dessert which is that even minus those accessories this is still one of the most impressive figures in the line to date! 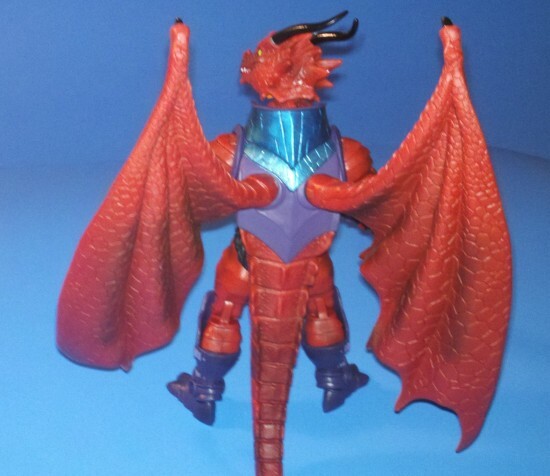 Not a bad wingspan for ones that aren't completely unfurled. The Four Horsemen at their best! 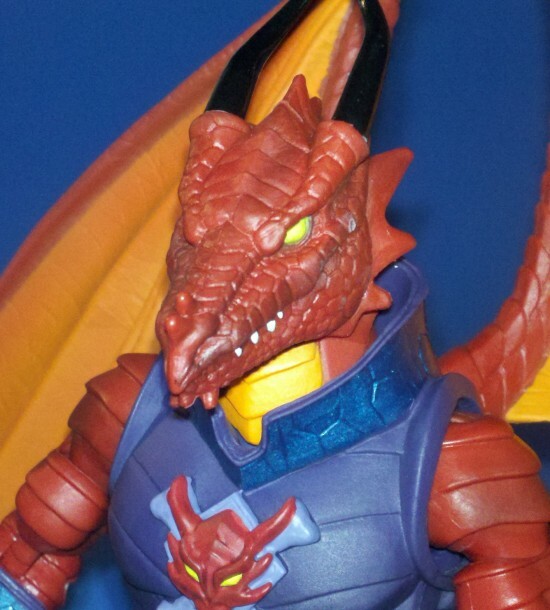 Now THIS is what a 30th anniversary figure should look like! He is definitely one tough act for Sir Laser Lot (sigh…I know.) 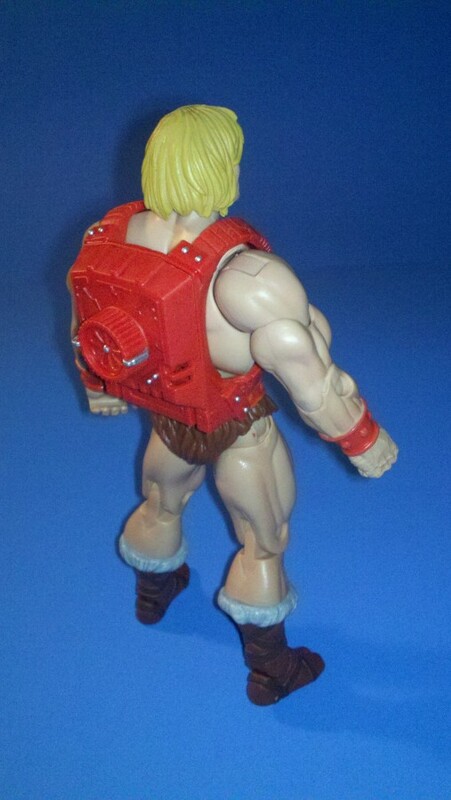 to follow!Â This is a perfect figure to celebrate MOTU’s 30th with. 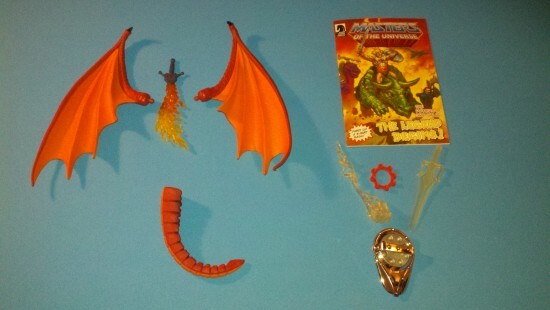 Awesome mix of re-used parts and a wicked new sculpt! It's going to be difficult picking a favorite pose to display either of these guys in. 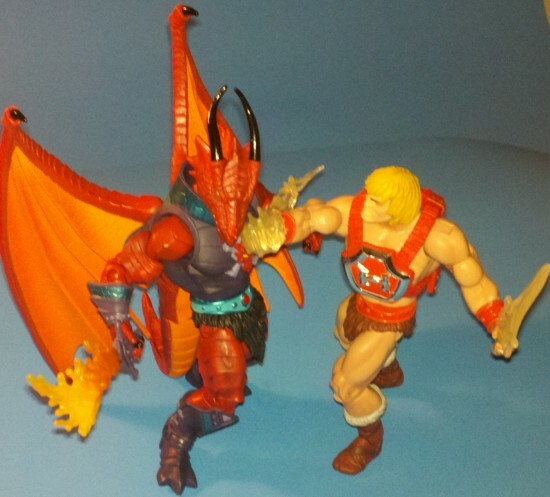 Review-Or has been collecting Masters of the Universe action figures since they first became available in the early 80's. 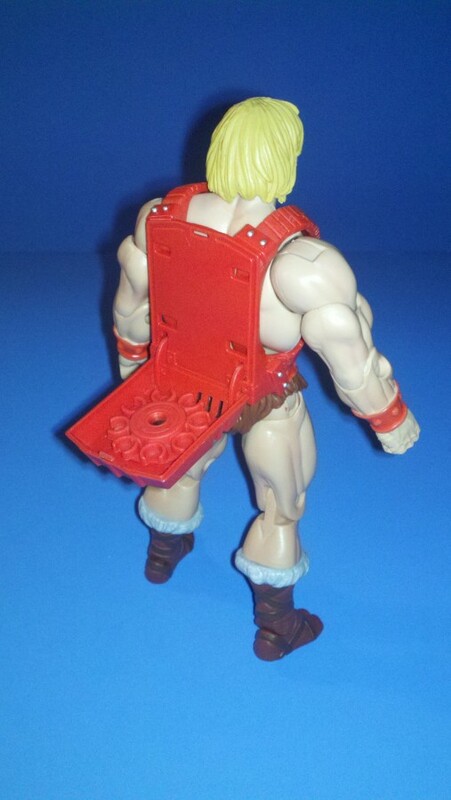 He's stuck with He-Man through his lowest points (MeteOrbs, New Adventures, Disco Skeletor, Smash Blade He-Man etc.) 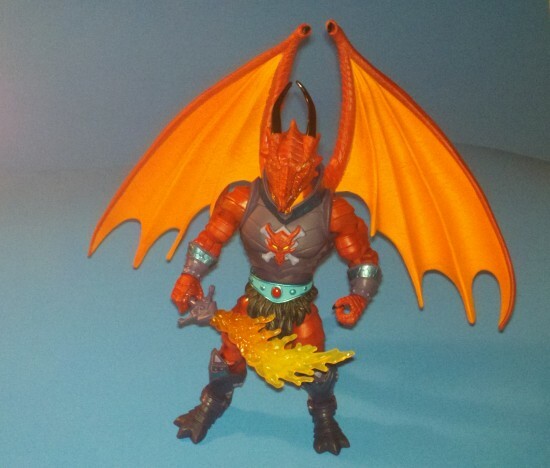 and he's happily reaping the rewards of the new golden age in MOTU collecting: Masters of the Universe Classics! 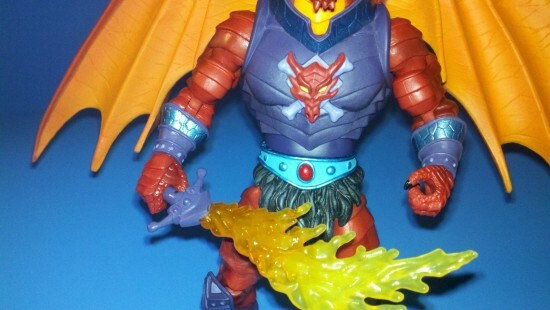 When he's not in his dungeon writing about the latest MOTUC news, he's more than likely taking a figure out of the package and finding some cool way to display it! In his off time this mysterious contributor to AFHUB.COM enjoys counting calories and revising his ever-expanding Enemies List! Spam protection: Sum of 3 + 15 ?